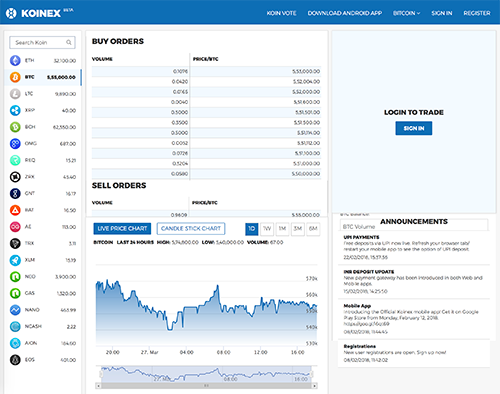 Koinex is India's most advanced digital assets exchange. It's the first complete exchange supporting multiple cryptocurrencies/ tokens on a single platform. Built entirely from scratch, Koinex is aimed at bringing the magic of blockchain technology to India. Bitcoin - the world's first cryptocurrency - was introduced in 2009 and since then over 1000 tradable tokens have come into existence. However, for a long time India missed out on the tremendous opportunity that the rest of the world had been enjoying. And Koinex has been built to to bridge that gap.